"The commission will consider the impact of the order on the ongoing forex litigation with the banks in South Africa. In February 2017, the commission referred to the tribunal for prosecution a collusion case against Bank of America Merrill Lynch International Limited, BNP Paribas, JP Morgan Chase & Co, JP Morgan Chase Bank NA, Investec Ltd, Standard New York Securities Inc, HSBC Bank Plc, Standard Chartered Bank, Credit Suisse Group, Standard Bank of South Africa Ltd, Commerzbank AG, Australia and New Zealand Banking Group Limited, Nomura International Plc, Macquarie Bank Limited, Absa Bank Limited (Absa), Barclays Capital Inc, and Barclays Bank plc (respondents)." "The commission found that from at least 2007, the respondents had a general agreement to collude on prices for bids, offers and bid offer spreads for the spot trades in relation to currency trading involving the US dollar/rand currency pairing. "Furthermore, the commission found that the respondents manipulated the price of bids and offers through agreements to refrain from trading, and creating fictitious bids and offers at particular times. Citibank pleaded guilty, and was fined more than R69 million, and it committed to cooperate with the commission, and make witnesses give evidence against the other banks. 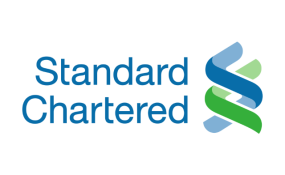 "Since February 2017, the commission has been engaged in protracted litigation with the rest of the banks, including Standard Chartered Bank, on pre-trial issues such as jurisdiction of the South African authorities, and disclosure of the commission's evidence."